This page last revised May 11, 2015. 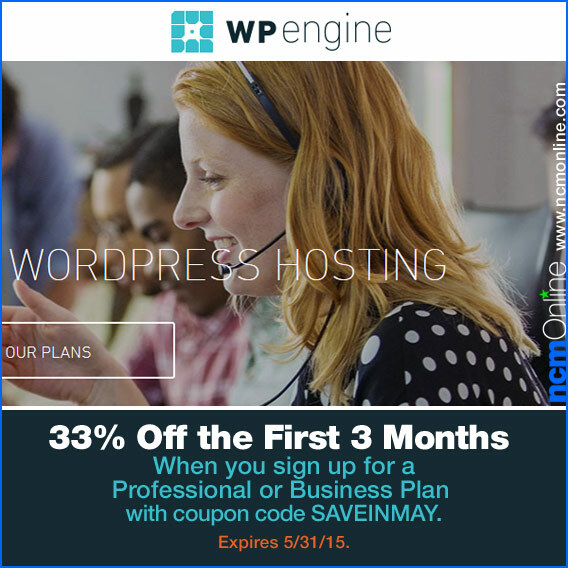 New customers can save 33% off the first 3 months of a monthly Professional or Business web hosting plan. Use promo code SAVEINMAY in your cart when you order. Validity: Only valid for new customers with monthly plans. Not valid for Personal or Enterprise plans. Not intended for internal use by affiliates. Some information on this page: Copyright © 2015 WPEngine Inc. All Rights Reserved. 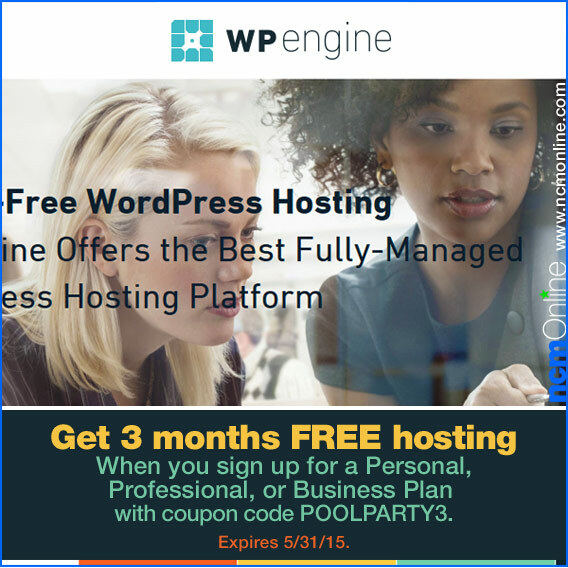 Now get 3 months FREE hosting with any Personal, Professional, or Business plan when you pre-pay for a year. Use promo code POOLPARTY3 in your cart when you order. 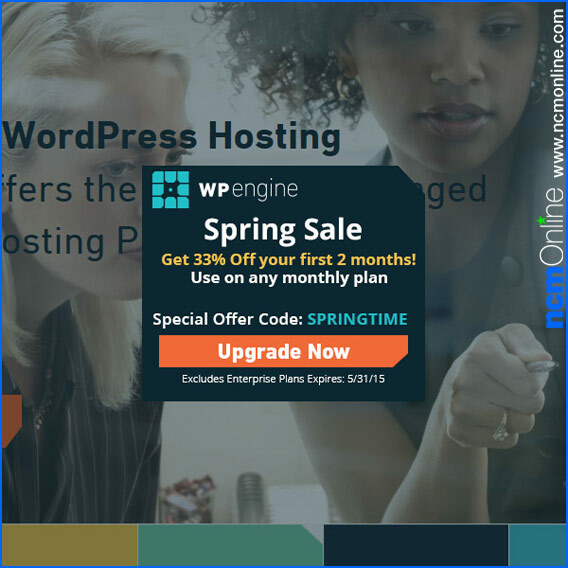 Now get 33% off for the first 2 months with any Personal, Professional, or Business monthly hosting plan. Use promo code SPRINGTIME in your cart when you order. Validity: Only valid for new customers with monthly plans. Not valid for Enterprise plans. Not intended for internal use by affiliates.